We want to believe that The Wichita Metro Chamber of Commerce and its PAC are a force for good. Why does the PAC need to be deceptive and untruthful? Karl Peterjohn lobbying for taxpayers. As I’m sure the Chamber knows, Karl Peterjohn lobbied on behalf of Kansas taxpayers, working to keep taxes and spending low. 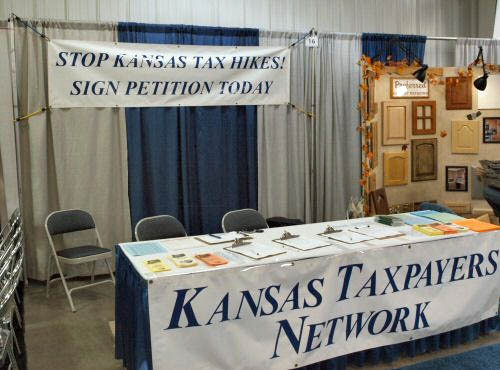 The Wichita Chamber, on the other hand, wants more taxes. Voters may remember that the campaign to create a Wichita city sales tax was run by the Wichita Chamber. Why does the big-taxing Wichita Metro Chamber of Commerce and its PAC support David Dennis? The answer is they want more taxes from you. They must see Dennis as compliant with their desire for higher taxes. 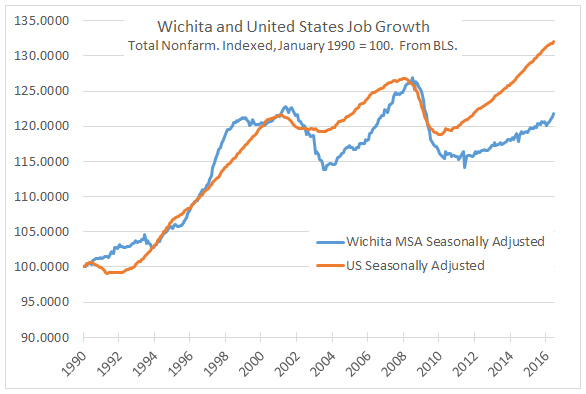 Wichita and U.S. job growth. Click for larger. 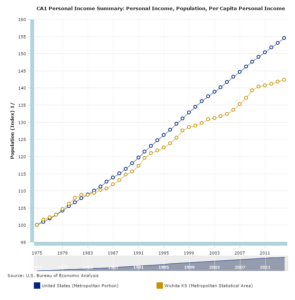 Wichita and U.S. personal income growth. Click for larger. 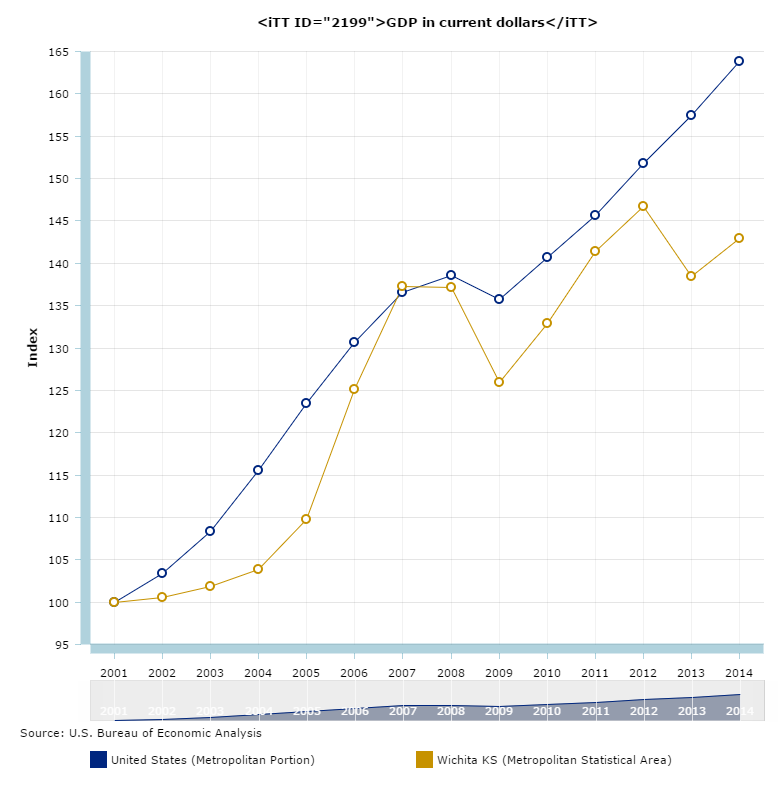 Wichita and U.S. GDP growth. Click for larger. It’s not only this. Another mailer says Peterjohn opposed building the Intrust Bank Arena. An accurate statement is Peterjohn opposed raising taxes to fund the arena. Many others held the same belief, as the vote for the arena tax was close, with 48 percent voting no tax for the arena. 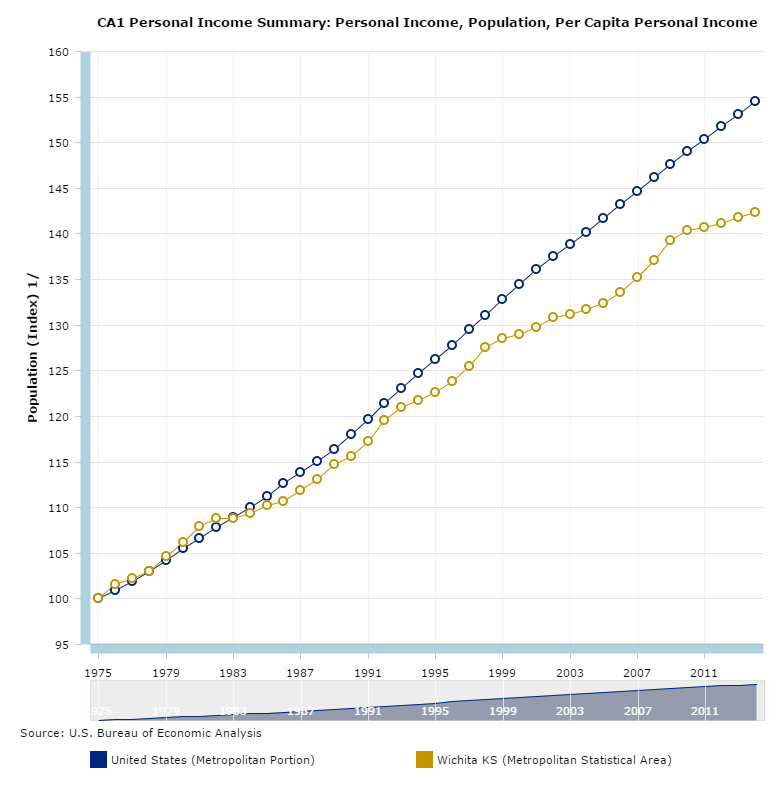 By the way, that tax was a sales tax, the type that falls disproportionately on low-income families. We want to believe that our Chamber of Commerce is a force for good. Why does the Chamber need to be deceptive? Why does it lie to voters? 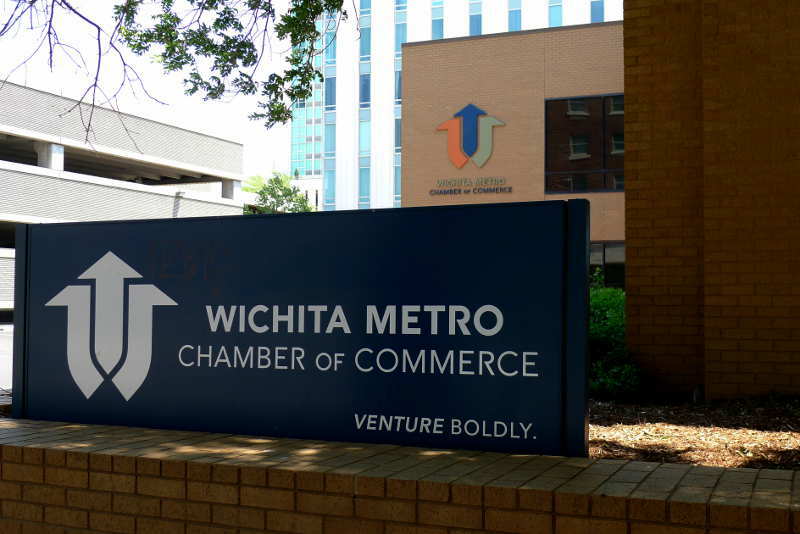 It would be one thing if the Wichita Chamber was a positive force for the Wichita-area economy. 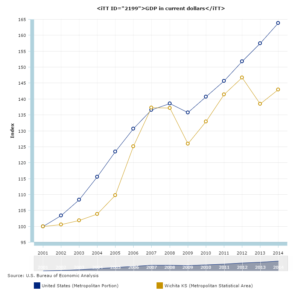 But the Chamber and its subsidiaries have been managing economic development for a long time. 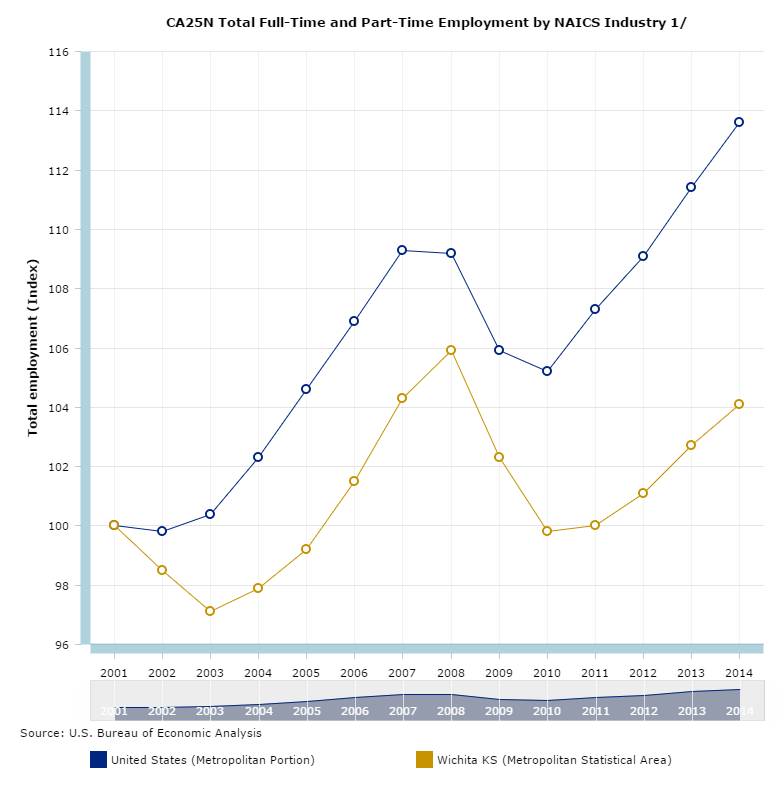 Nearby is a chart of job growth data from the Bureau of Labor Statistics. Wichita job growth hasn’t always lagged behind the United States. 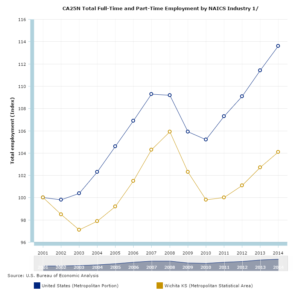 But Wichita is now behind, and as the Wichita Chamber has taken more responsibility for managing our local economy, the gap between Wichita and the country is growing. Wichita is falling behind. Previous PostWichitaLiberty.TV: The State of KansasNext PostWhich Kansas Governor made these proposals? The Andover chamber pulled a sneaky out here also. Having a cookoff challenge at the Andover Dillons involving the the fire department aupposedly on behalf of their new cheese shop…aka a chance for the Sheriff THEY support to be at Dillons campaigning right before the election on a busy Saturday….